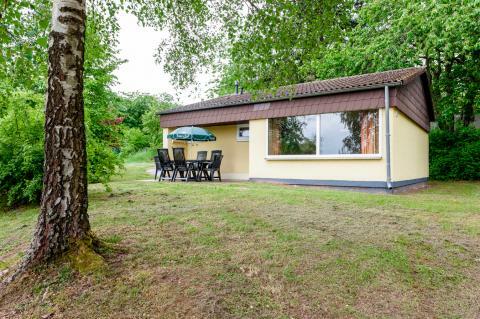 Landal Warsberg in Saarburg - the best offers! 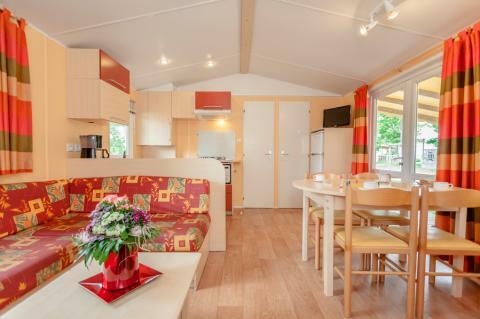 This price applies to 6-person mobile home/caravan 6MH1, with the arrival as 6 May 2019, 4 Nights. 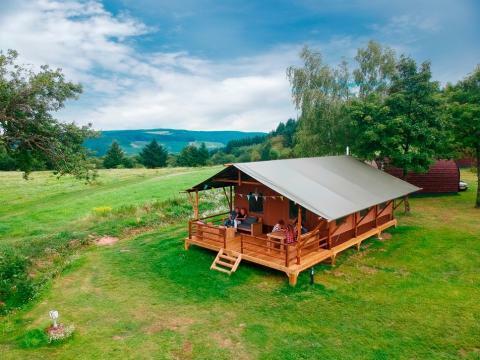 This price applies to 6-person tent 6ST, with the arrival as 6 May 2019, 4 Nights. Maximum two pets per accommodation. You can find the surcharges on the invoice from the park. 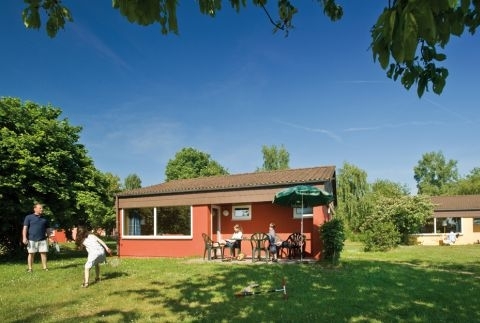 Between the vineyards of the River Saar, you’ll find holiday park Landal Warsberg. This park is located on top of the Warsberg in the German town Saarburg, and offers multiple activities for all ages. Facilities include multiple tennis courts, mini golf and a water park. Besides the activities at the park, you can explore the beautiful surroundings on foot or try the toboggan run! During your stay at Landal Warsberg you are highly encourages to relax and enjoy the atmosphere. Soak in the whirlpool or the steam room or enjoy the heat of the infrared sauna. For a healthy looking tan when you return home, use the sun beds. For sports enthusiasts, there are plenty of facilities, including tennis courts, table tennis and football. There is also an indoor swimming pool with various water attractions. Landal Warsberg also organises a guided walk in the forest where you can learn all about the area. Children will have a fantastic time at the swimming pool. There are also several play areas for children featuring climbing frames, trampolines and slides! In the park restaurant you can enjoy a delicious dinner indoors or in the sun on the terrace. If you want a quick bite, you can visit the snack bar. Landal Warsberg is located in the town of Saarburg in Germany, just across the border from Luxembourg. The beautiful River Saar flows through the area and along the river you’ll find many vineyards. A tasting of the local wines is certainly a fun activity! The park lies on top of the Warsberg, which boasts beautiful views over the Saar valley. Saarburg is known for its impressive waterfalls. From the terraces in the cosy town offer plenty of views of this extraordinary natural phenomenon. The surroundings are also ideal for hikers and cyclists. One of the most beautiful bike paths takes cyclists along the River Saar to the mouth of the River Moselle. For history lovers, there are several castles in the area, and Germany’s oldest city, Trier, is well worth visiting. In the reception and the restaurant, WiFi is free. WiFi in your accommodation is available for a small fee. For more information, please contact reception.